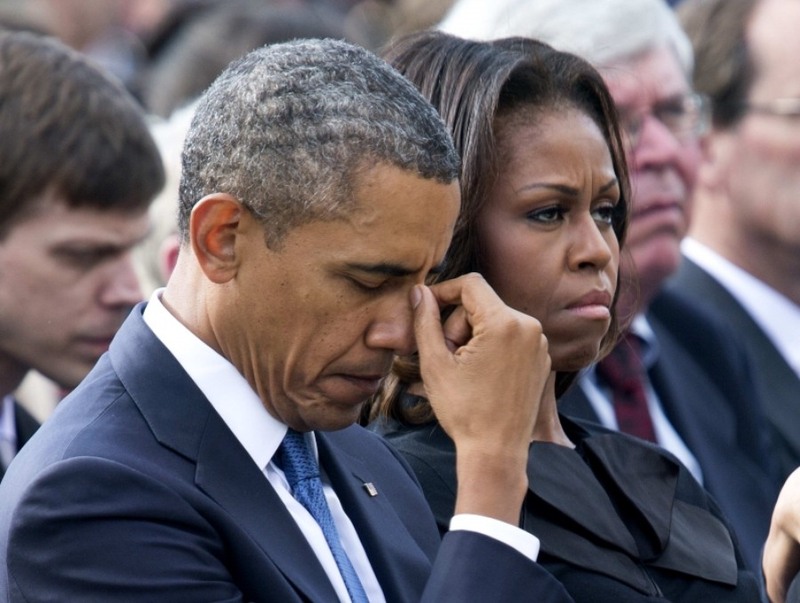 I’m just heartbroken… it looks like Michelle Obama’s food fascism is about to go down in flames. Why? Because the food was so horrific, no one was eating it. That means school cafeteria’s aren’t making enough money to employ workers or to even stay open. Sooo… cafeteria workers are urging President Trump to scrap the whole Mooch food program and replace it with food that actually tastes good. What a concept. The school lunch program was Michelle Obama’s pet project as First Lady. It was an utter disaster and simply disgusting. Now, the schools want it gone. I don’t blame them. Mooch opted for low sodium, low fat, bland tasting and awful looking choices that students just plain won’t eat. By the way, her children eat at a private school with lots of great food and none of that crap. It’s like her goal in life was to hurt our kids and make them miserable. Mission accomplished. But the schools are saying enough and I think all that is about to change thank goodness. Faced with students who won’t buy lunches low in salt and sugar and jacked up with bland-tasting grains, the nation’s 54,000 school cafeteria workers are urging Washington to junk health-focused rules pushed by former first lady Michelle Obama. Feeling that they have an ally on their side in the Trump administration, their lobby group, the School Nutrition Association, plans to press for less-strict restrictions on ingredients that taste good. “Overly prescriptive regulations have resulted in unintended consequences, including reduced student lunch participation, higher costs and food waste. Federal nutrition standards should be modified to help school menu planners manage these challenges and prepare nutritious meals that appeal to diverse student tastes,” a new policy paper from the association said. Not only are the meals unappetizing in the extreme, the regulations were so restrictive, they actually got rid of healthy choices in food. Salt became an enemy… which is insane because we need it to live. The Department of Agriculture under Obama wanted ever lower amounts in school lunches. The School Nutrition Association warned that “naturally occurring sodium present in meat, milk and other low-fat dairy foods will force schools to take nutritious choices off the menu, including many soups, entrée salads and low-fat deli sandwiches.” That is just stone cold stupid. The federal government has no place in determining what our children eat at school. That is between the school and the parents, or at least it should be. Mooch didn’t care about the unintended consequences that went with messing with school lunches. After all, it didn’t affect her or her kids. Just the children of America, which she hates anyway. I hope President Trump does away with the program altogether. It was a disaster from start to finish and the schools are pushing back. They should have done that long ago.